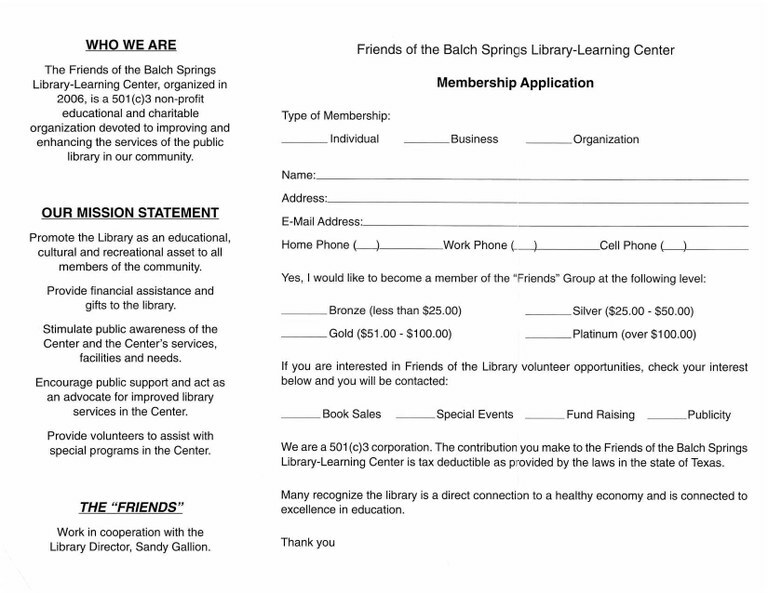 Promote the library as an educational, cultural, and recreational asset to all members of the community. 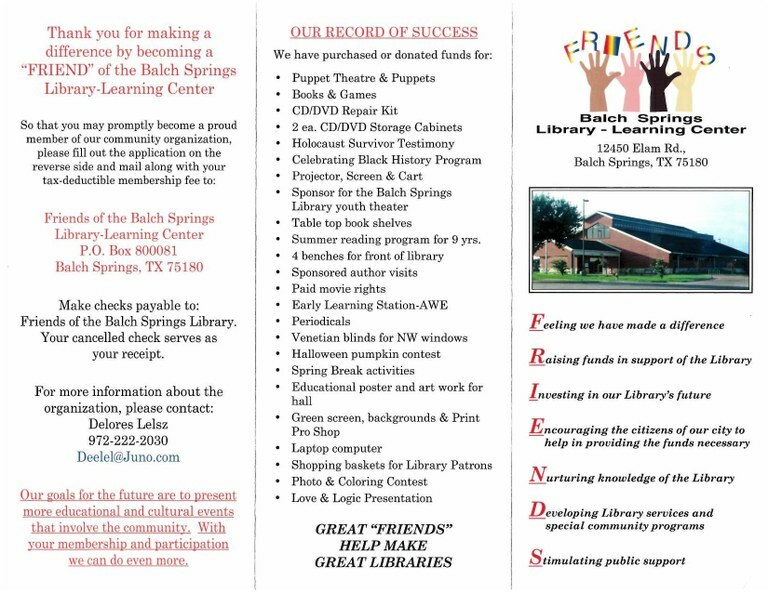 Provide financial assistance and gifts to the library. Stimulate public awareness of the center and the center's services, facilities, and needs. Encourage public support and act as an advocate for improved library services in the center. Provide volunteers to assist with special programs in the center.